will have gone thru multiple certification cycles and have been modified for any and all possible devices. A common recommendation for a multi-phase project where it is important that proof of concepts be deployed quickly will almost always be done with a standard kiosk model. 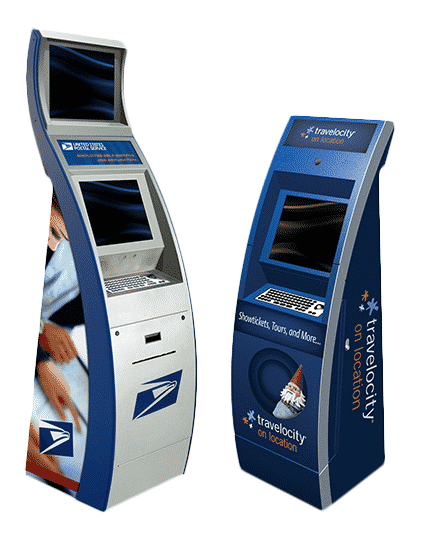 The Stealth kiosk from KIOSK. Click for full image.